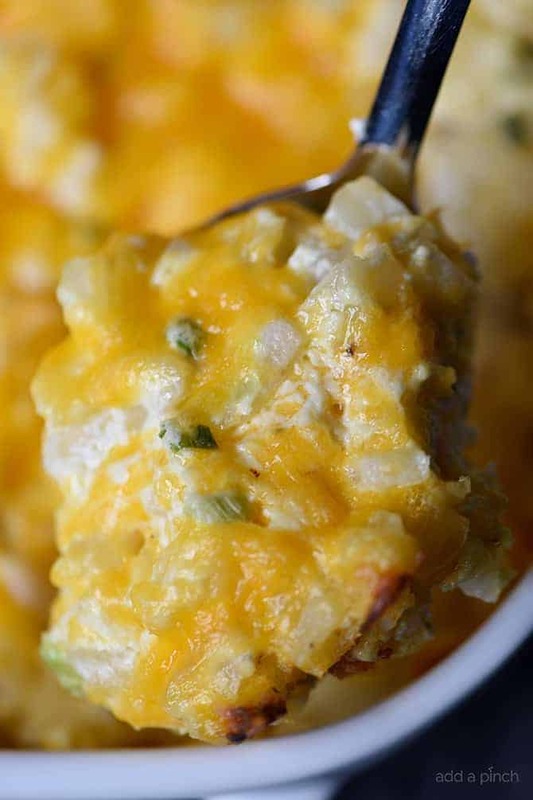 This Hashbrown Casserole Recipe is a cheesy potato side dish that comes together so easily! Hashbrown Casserole is perfect for breakfast and the holidays and is always a favorite! I have to admit I’m in love with Hashbrown Casserole. This hashbrown casserole. I mean, what’s not to love?! Cheesy deliciousness, hash browns and this creamy sauce make for one perfect dish. Think loaded baked potatoes meets creamy, crunchy hashbrowns! It comes together so quickly and is super easy to make. 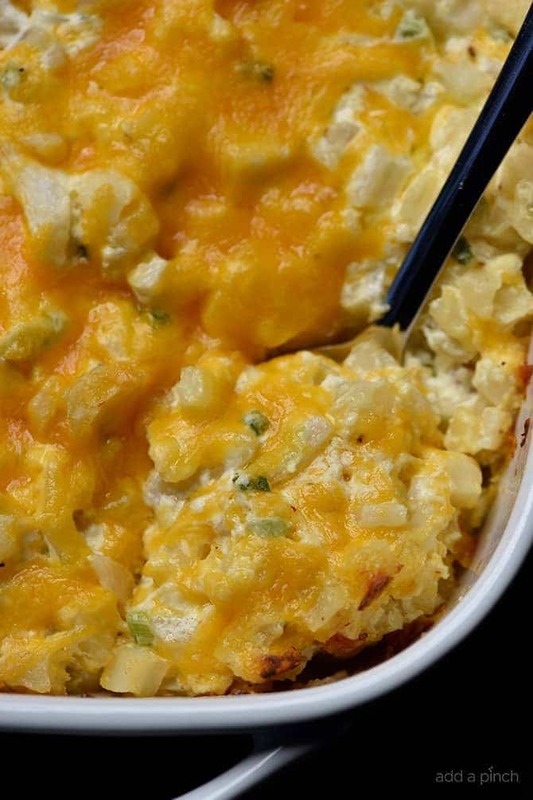 It’s just right for breakfast and amazing as a side dish for supper. Many of you have eaten a version of this at some point in your lives, either at a restaurant, at a family meal, or even at pot luck. It is definitely a timeless classic that everybody loves. 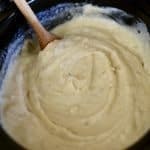 This recipe is my favorite of all the ones I have ever tried. My family certainly loves this one too and I am happy to make it for them – and for me – often. 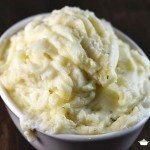 As I was preparing it a while back for an extended family meal, I realized it was one of the recipes that I had neglected sharing my own version of with you. 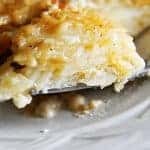 I love that this hashbrown casserole recipe comes together so quickly with less than 10 ingredients, can be mixed together and stored in the refrigerator ahead of time to make entertaining even easier, and is always a crowd favorite! To make it, I simply add all of the ingredients, saving a little bit of cheese to sprinkle on top during baking, to a large mixing bowl and stir it well until all of the ingredients are combined. Then, I spread it into a 9×13 baking dish and refrigerate up to 3 days before baking. Then, when I’m ready to bake, I preheat the oven and bake it until the potatoes are fork tender, about 30 minutes and add the remaining cheese. Once the cheese melts, this deliciousness is ready for serving! 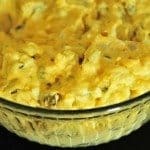 This is perfect for serving at holiday gatherings or weekend brunch because it’s so easy to make ahead! You simply prepare your hashbrown casserole without baking it, cover tightly and store in the refrigerator for up to 3 days. When ready to serve, bake as directed, serve and enjoy. You can freeze this for later too! Just prepare the hashbrown casserole without baking, store in an airtight, freezer-safe container and keep in the freezer for up to 3 months. To serve, thaw in the refrigerator overnight and then bake as directed and serve. Here’s my Hashbrown Casserole Recipe. I hope you enjoy it as much as my family does! 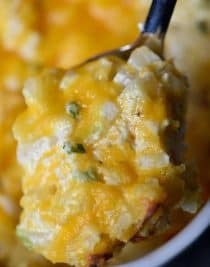 Hashbrown Casserole Recipe - A cheesy potato side dish that comes together in a snap! Perfect to serve when entertaining and a staple on the holiday table! Preheat the oven to 400º F. Lightly butter a 9x13 baking dish or spray with nonstick cooking spray. 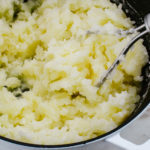 Stir together the diced potatoes, half of the cheddar cheese, cream of chicken soup, sour cream, melted butter, onion, salt, pepper, and garlic in a large mixing bowl. Spread into the prepared baking dish. Bake until the potatoes are fork tender, about 30 minutes and then top the hashbrown casserole with the remaining cheddar cheese. Return the hashbrown casserole to the oven until the cheese has melted. Prepare hashbrown casserole without baking, cover tightly and store in the refrigerator for up to 3 days. To serve, bake as directed and serve. Prepare hashbrown casserole without baking, store in an airtight, freezer-safe container in the freezer for up to 3 months. To serve, thaw in the refrigerator overnight and then bake as directed and serve. Funeral potatoes in the upper midwest! Yum! I make a similar recipe and put butter coated crunched up corn flakes on top! Family loves it! Can I leave out the green onions? Or will that alter the flavor of the dish too much? Thanks! You can leave them out if you wish. My sister doesn’t eat onions and it’s still delicious. Thanks! I have had this dish with the crunched up cornflake topping also. Once I stirred half a package of the tiny 1/4″ diced ham in half of the dish before baking (after draining and patting packaging juices off first). Voila! Ham and potato casserole for my carnivore friends! Robin, what is your cheese of choice in casseroles? It depends on the casserole, but my family always loves cheddar! It works great in quiches, breakfast casseroles, enchiladas, and so many more. OMG! I make this every year it has been in our family for many many years…my mom made it! Love it and the guys especially do! Can make ahead so it makes life easier! Merry Christmas! My family absolutely loved this Hashbrown recipe. It’s definitely a keeper! Pinned. I’m so glad you all enjoyed it! Thanks so much!!! I think the package of ore ida frozen hash browns is 1 lb or maybe 2lbs. Just check the label… so easy…. These are called Funeral Potatoes where I’m from! Very yummy! I just made this last night! It is my families favorite casserole. 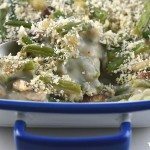 I had some leftover ham so added that in with some green beans. I don’t follow a recipe, just whatever I feel like throwing in. So Yummy! I will be making this recipe. I will modify it by adding a generous amount of Hatch green chilies. We like spicy food. This was a great dish. I did make it a few hours ahead and took it to my mother-in-law’s to cook for dinner. Unfortunately, I forgot to take the foil off before I baked it, but it was still very good. My MIL said it was a keeper. I can’t wait to make it again without the foil so it browns on top. Thanks Robyn for another great recipe.